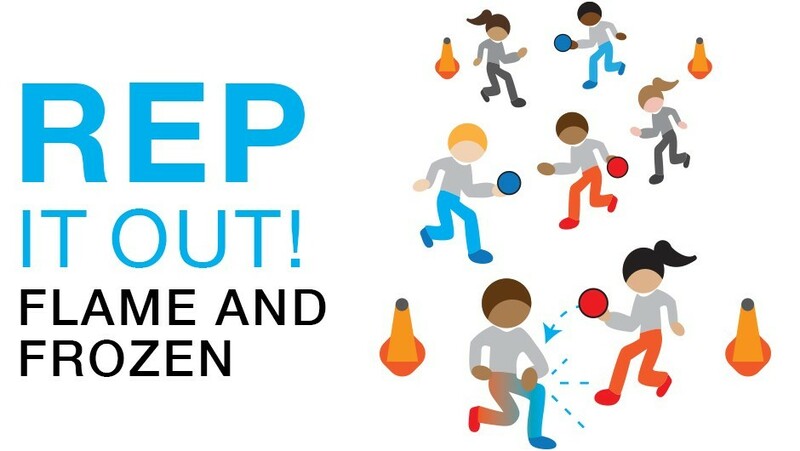 Round up the kids for some active fun with our Recess Enhancement Program's (REP) modern twist on freeze tag. This game of the month will have everyone smiling. Designate two students to be the frozen players and two to be the flame. Give these players respective blue (frozen) and red (flame) foam balls. Instruct everyone to spread out within the boundary. The frozen try to tag players. If you are tagged, freeze in place and take a knee. Raise your hand and call out, "flame." When the designated flame player passes you the ball, you become unfrozen and are the new flame. After the round is over, switch frozen players. Instruct students to high-five each other after every switch. EASY: Tag above the waist only. MEDIUM: Side shuffle or skip when moving. HARD: Students can stand on one leg only when frozen.